The first item I used was the Eva NYC Freshen Up Dry Shampoo. This product is intended to freshen your hair between washes and comes in an aerosol canister. Though it does contain one type of starch, sadly this did not really do anything to reduce the appearance of grease for me. I need a more industrial level of oil absorption. 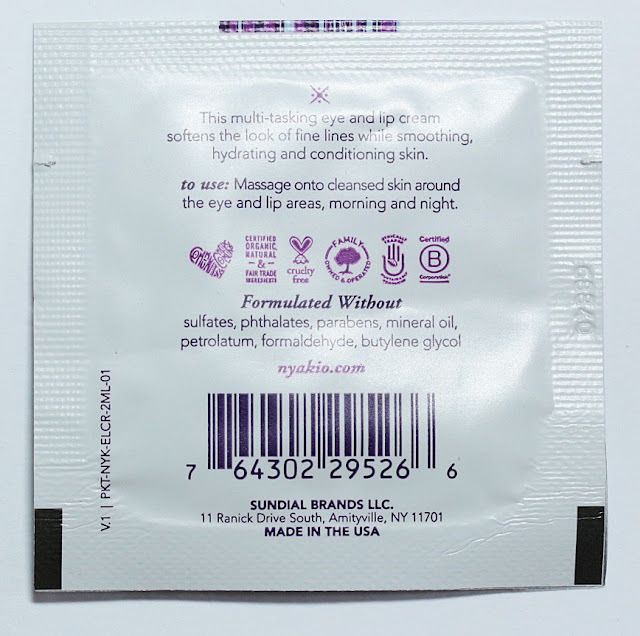 It does have a nice fruity, floral scent so it at least will leave your hair smelling fresh. 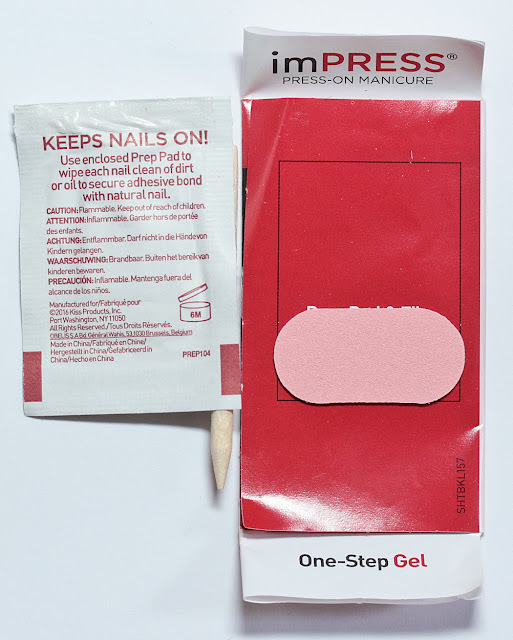 Next up is imPress One-Step Gel artificial nails. 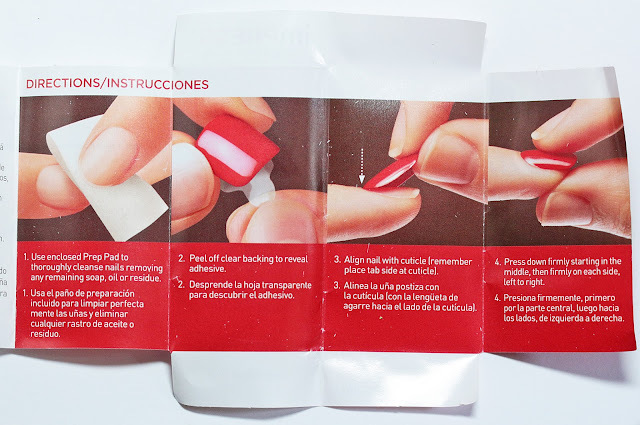 They come in a box with 30 nails and in the case of my set, 6 accent nails is various sizes. The box comes with visual and written instructions for application. There is also a prep pad to clean your nails for longer-lasting wear. I was a bit leery to try these as I was worried the glue would stick too well and cause my nails to peel upon removal. That was not the case. They held well, but also removed when I wanted them to. I was mostly able to find sizes that fit my nails, though the cuticle lines were a bit wide for me. It was odd and a bit fun to see my hands with squovals, as I can't wear squared off nails naturally. These nails were really small and short - I had to trim back my nails so the natural tips did not show underneath. I would say these would be good for a day of wear, but since there are some gaps, I would not want to wear them while showering or getting my hands in excessive water. I also tried the Nyakio Red Ginseng Line Smoothing Eye & Lip Cream. 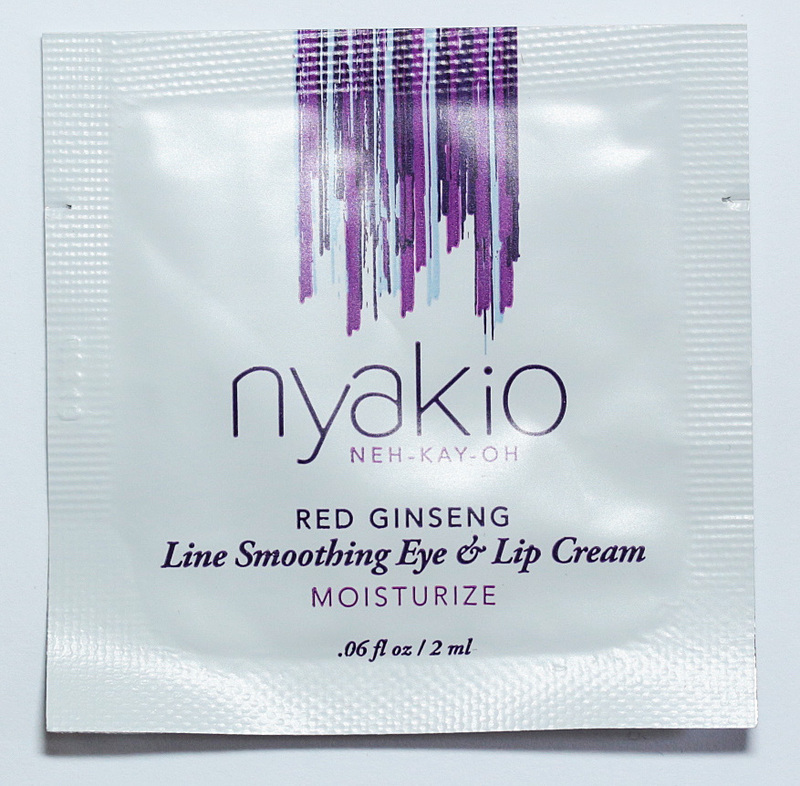 This is a rich, white-colored moisturizing cream with no scent or coloring. It was on the heavier side, which will suit me well in the winter. For my gustatory pleasure, the included Sour Punch Straws. These are soft, bendy, hollow straws in fruit flavors with a sour tinge to them. They are strong! If you love soft licorice and sour candy, these will be for you. Finally I tried two versions of Vera Wang Embrace. Embrace Marigold and Gardenia is a bright, fruity fragrance with a strong gardenia note. 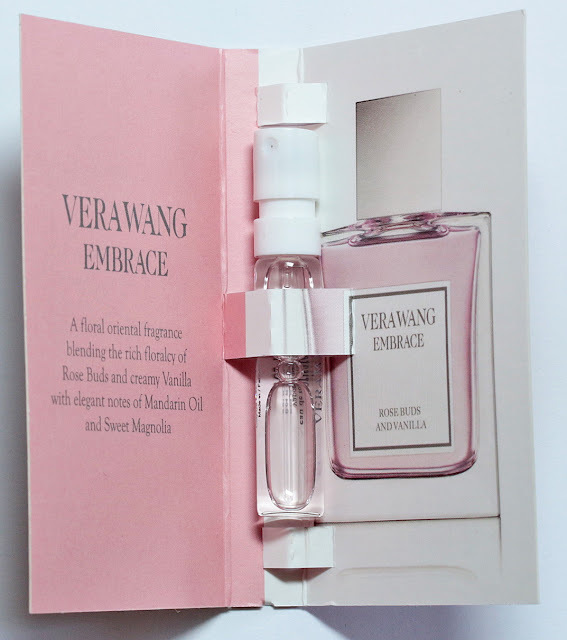 Vera Wang Embrace Rose Buds and Vanilla has a stronger rose scent. Both are lovely options for warm, floral scent lovers. 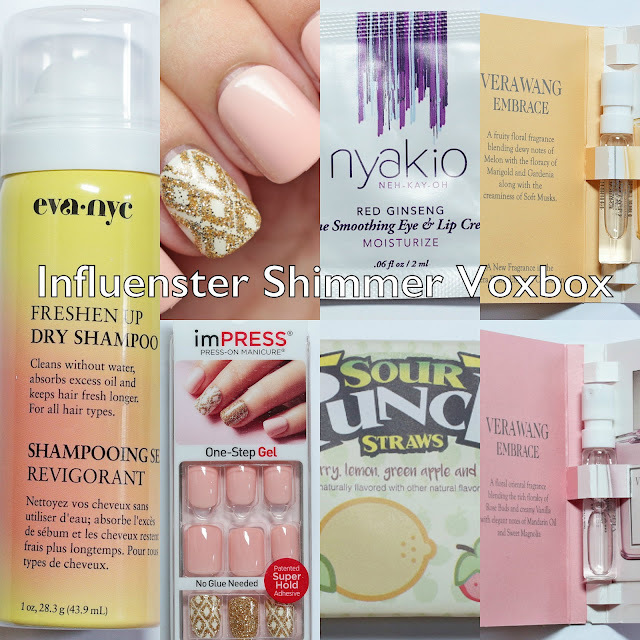 That wraps up the Influenster Shimmer VoxBox. 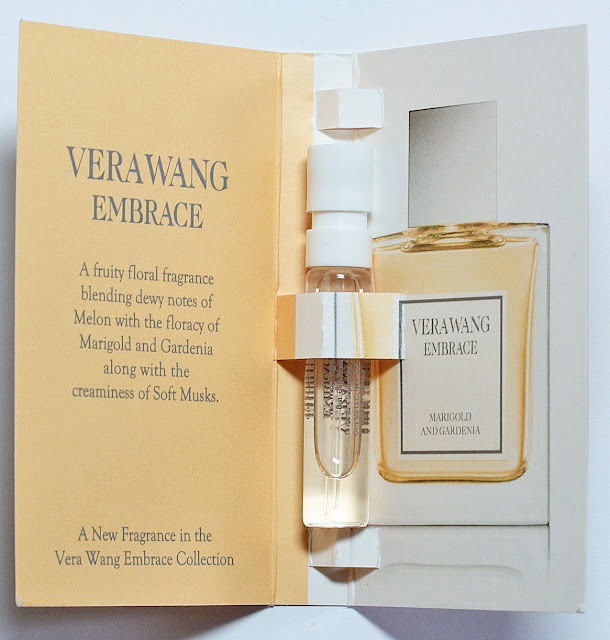 I'd say the biggest hits for me in this box were the Vera Wang Embrace samples. I always enjoy trying out new fragrances and these sample vials are a great way to get a sniff of all the new happenings before you buy! Do you see something for you here?